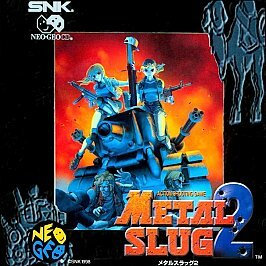 Home versions of Metal Slug 2 were released for the Neo Geo AES console (released on April 1998) and the Neo Geo CD (released on June 1998). The Neo Geo CD version features an exclusive "Combat School" mode (similar to the CD-ROM based versions of the previous game) where the player can play new versions of previously-played stages with new objectives. Jalexbrown reviews Metal Slug 2, available on PSN. I sort of remember Metal Slug from my childhood. I used to go to the arcade and play it, but it was notoriously difficult and I could never get passed the first level. Even with a friend, the game was still pretty brutal. So now here we are. SNK has released Metal Slug 2 on PSN, so I decided to try it out. So was it a trip down memory lane? Read on to find out. The concept of Metal Slug 2 is fairly simple: You choose one of four characters and run through six missions; your objective is to shoot everything that moves and save everything that doesn’t. This was an arcade game, you must remember, so complexity was naturally not its strong suit. 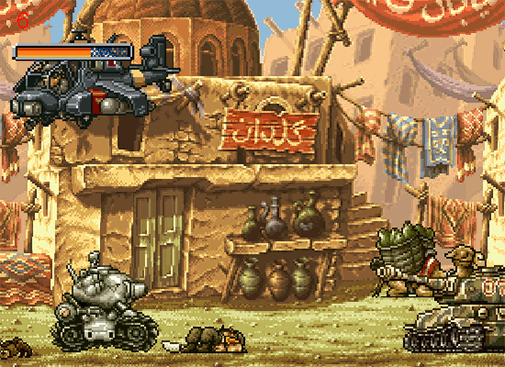 The good news is that fun is its strong suit, because Metal Slug 2 is still a blast to play. Maybe it’s just because I’ve grown older, but I feel that Metal Slug 2 is slightly easier than its predecessor. That’s not to say it isn’t difficult, however, because you get two lives per credit and four credits to complete the game. It’s worth noting that contact with an enemy isn’t immediate damage; only melee attacks and projectiles actually hurt you. But trust me when I say there are plenty of projectiles, so don’t let that make you feel too safe. As you progress through the game you can pick up different guns that will last the duration of your current life. These will start to feel crucial after a while, and you’ll find yourself frantically trying to make sure you don’t miss a single power-up item. There are also vehicles you can ride from time to time, and they’re the most useful things of all. Hopping into a vehicle usually means quick to instant death for all things around you. They might be a little overpowered in my opinion, but they’re sure as hell a lot of fun to use. The controls in Metal Gear 2 feel responsive and smooth. You can shoot in any direction (although you have to be jumping to shoot downward) including diagonals, so the shooting feels a lot less restrictive than in a game like Contra or most shoot-‘em-up games of the time. I didn’t notice any input delay either, which is pretty nice since I’ve gotten used to a slight amount of delay any time I’m playing something that’s emulated. One thing worth noting is that this is a port of Metal Slug 2 and not Metal Slug X, so it suffers from horrible slowdown even when it doesn’t seem like there’s any reason for it. It’s not at all uncommon to see the frame rates drop down into single digits for fairly long stretches of time. Metal Slug X has long since eliminated this issue, so it makes me wonder why SNK decided to port the inferior version of the game. Nevertheless I did discover an option in the menu (not the game menu, but the first SNK menu) that would speed up the CPU emulation; this made the game run a little bit faster than what might feel standard, but it’s much better than having to deal with the incredible slowdown with it turned off. The graphics in Metal Slug 2 are surprisingly pleasing to the eye in a retro sort of way. They’re definitely pixilated, but it’s all sort of charming and nostalgic if you have fond memories of these kinds of games from days gone by. There are options to smooth and enhance them slightly if you’d like, but I kept them off and enjoyed the charm. The music and sound is what you’d expect from an arcade game of the era. The music fits the mood of the game pretty well even if it does end up feeling a bit repetitive in later levels, guns sound satisfying in a staticy sort of way, and it never gets old hearing enemies wail their death screams. Playing with another person is going to add a lot to this game. Unfortunately I wasn’t able to get a single online game; I’m not sure if it’s because of poor matchmaking or a lack of players. In lieu of an online match I decided to call a buddy over to join me. It was a blast getting together and mindlessly gunning down soldiers until our thumbs cramped. It really solidified the arcade-esque experience of the original, and I’d highly recommend you find at least one person to sit down on your couch with you and go through the game. You’ll have a lot of laughs at each others’ stupid moments and enjoy friendly trash-talk when your buddy steals the power-up you were after. Overall I found Metal Slug 2 to be quite enjoyable. Sure it has its flaws, but they’re all covered up in a fabulous layer of arcade goodness that’s hard to resist. 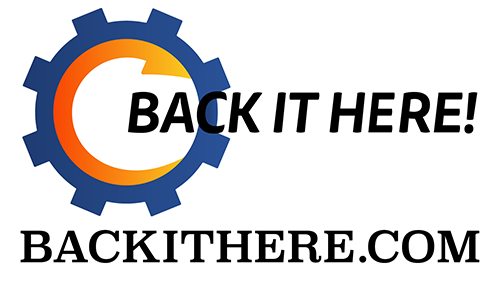 It’s good alone, better online (if I could find a game), and pretty much a gem with a buddy. If you can afford the $8.99 price tag, pick up Metal Slug 2 and take a pleasant trip back to the old-day arcades – no dingy smell included.